At Prompt Glass, Glazier Perth, we deliver a wide range of high quality glazier services to our clients in the Perth area at very affordable prices. From window and door replacement to window tinting and security films, our professional glaziers in Perth will provide a complete glazier services to suit your needs. With no glazier job too big or small for our glaziers at Prompt Glass, Glazier Perth, you can trust us to deliver a high quality glazier service whatever your needs. 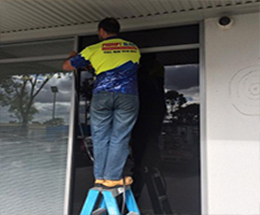 Through providing the right glazier services with a professional and friendly approach and affordable prices, we have provided our glazier services for many happy clients throughout Perth and the surrounding areas. Established in 1996, we are a family owned and operated glazier company in Perth with over 30 years of combined experience in the glazier industry. At Prompt Glass, Glazier Perth, we respond to your emergency glass repair enquiries within 10 minutes, whether they are call-outs or quotes. We also aim to have one of our glaziers out to your property within 45 minutes of your phone call to repair or replace broken glass or windows at your Perth home or business. In the event that we can't replace the glass straight away, our professional glaziers will patch or board up the affected area to ensure your premises is secure. We will then have our team of glaziers from Prompt Glass, Glazier Perth, back as soon as possible, usually the next morning, to replace the affected glass area at your Perth property. 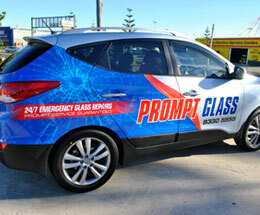 More Information on Prompt Glass – Glazier Perth? We provide our range of glazier services for domestic, commercial and industrial properties throughout Perth and the surrounding areas. 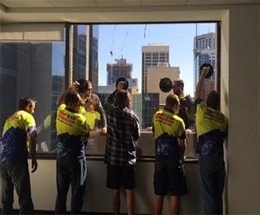 From homes and apartments to small businesses and commercial buildings, our glaziers at Prompt Glass, Glazier Perth, will deliver a prompt and complete glazier solution for your Perth property. Our glaziers at Prompt Glass, Glazier Perth, are trained by the leading glazier industry professionals and are fully licenced to deliver our high quality glazier services to our Perth clients. We strive to take care of all of your glazier needs. From securing your Perth property and fixing the broken glass to sorting out your insurance, our glaziers provide a comprehensive service. If you have a broken shop-front window, glass door or sidelight, our glazier team will even give you a discount on your insurance excess. With different discounts applying depending on the size, Prompt Glass, Glazier Perth, will take the hassle out of your insurance claim. For more details on our insurance discounts, ask one of our professional glaziers today. For more information on our range of glazier services, or to request for one of our glaziers to provide our glazier services at your Perth location, please contact us at Prompt Glass, Glazier Perth, today.